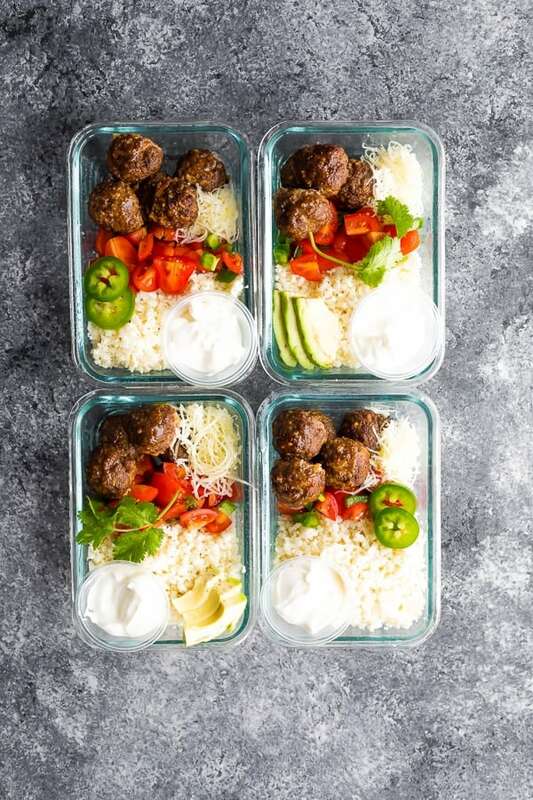 Low carb meatball burrito bowls with taco-seasoned meatballs, cauliflower rice, pico de gallo, cheese and sour cream with only 5 g net carbs per serving. When it comes to easy lunch recipes, you can’t beat the burrito bowl…it’s just so easy and so versatile! 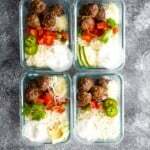 Today I’m putting a low carb spin on the burrito bowl with meatballs and cauliflower rice. Not only is it delicious, but filling, satisfying and low on carbs! they are tasty and satisfying! 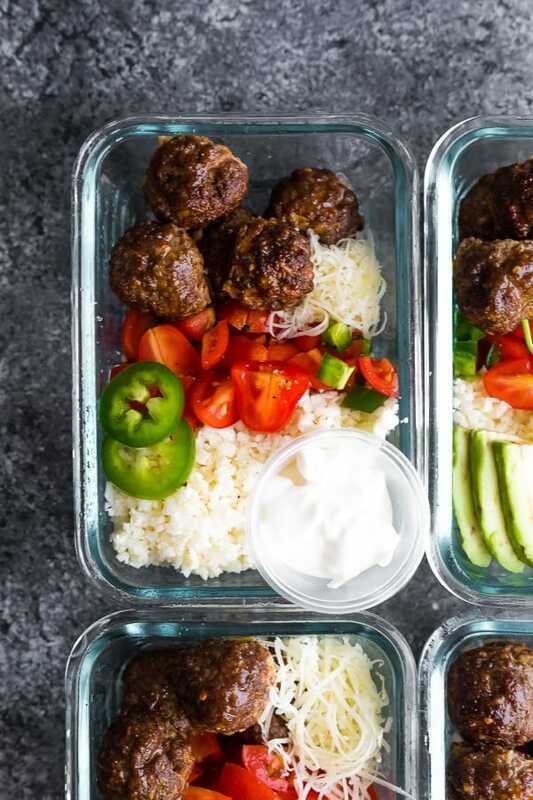 There are a few different components to this meal prep recipe but I’m going to suggest shortcuts so you can cut down on prep time! 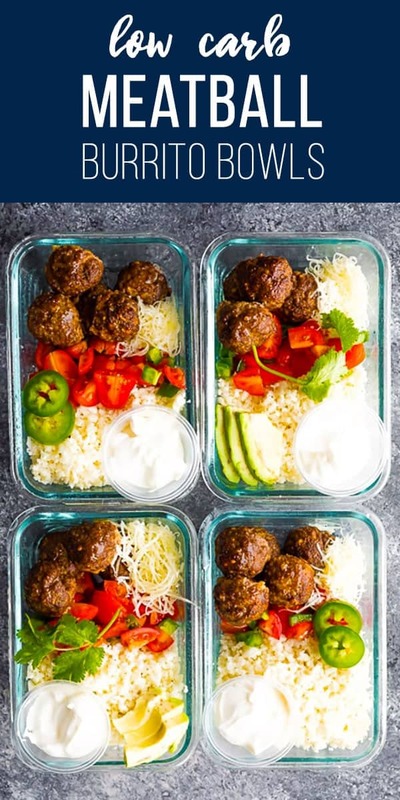 Low carb taco meatballs- I took my turkey taco meatball recipe from this post with 7 Turkey Meatball Recipes and modified it a bit: I omitted the breadcrumbs (I find almond flour seeps out of the meatballs and adds unnecessary carbs), and swapped the ground turkey for ground beef. *a note on taco seasoning- regular store bought taco seasoning has sneaky carbs so you can either make your own low carb homemade taco seasoning or purchase some online. Cauliflower Rice- I used my favorite cauliflower rice recipe and only seasoned it with some lime zest and garlic powder. 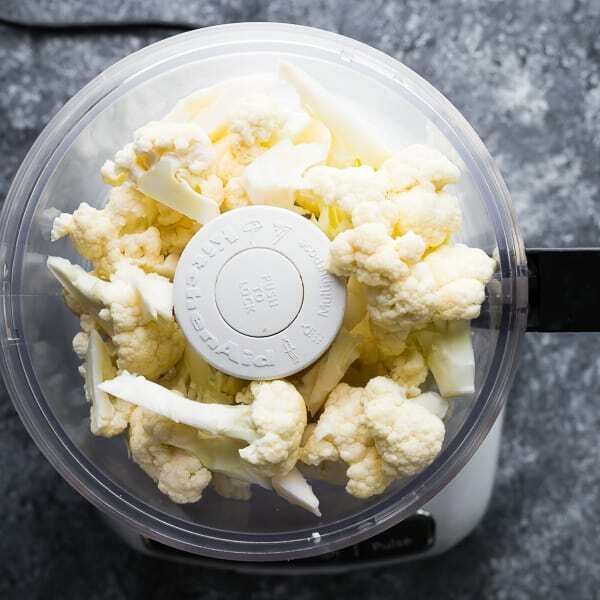 You can use pre-riced cauliflower to cut down on prep time! Pico de gallo- I chopped up some fresh tomatoes, jalapenos and seasoned with lime and salt. You can use a store-bought salsa as a short cut. Other toppings- I added shredded cheese and some sour cream, but use what you have in the fridge! Other low carb burrito bowl ideas: guacamole or fresh avocado, salsa, sauteed zucchini & bell peppers. Can I make this vegan? Check out my vegan burrito bowls here. Can I spice up the cauliflower rice? Sure! Check out these 7 cauliflower rice recipes. Can I swap the ground beef? Sure, you can use equal amounts of ground turkey or ground chicken! Stir together all ingredients. 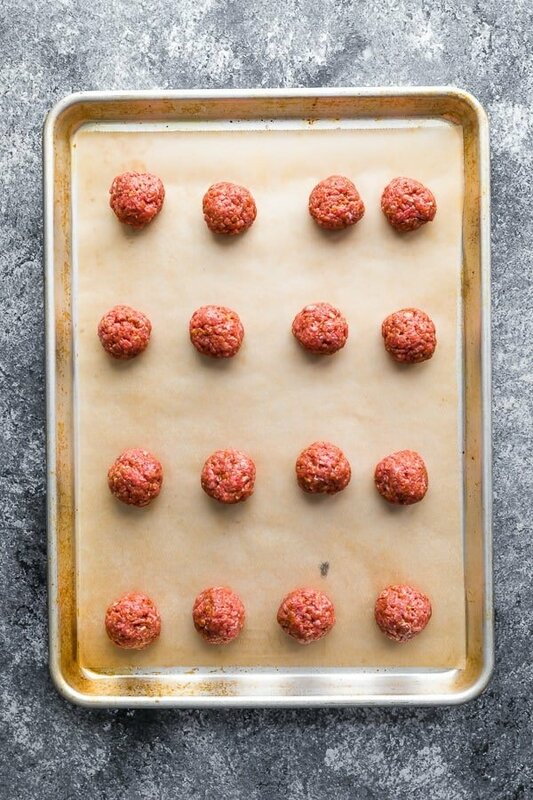 Roll into 1.5 tablespoon balls, arrange on a baking sheet. While meatballs are baking, heat oil in a large non-stick pan over medium heat. Add all ingredients to the pan and cook for 3-5 minutes, stirring continuously, until softened slightly (but not mushy!). Set aside to cool. Divide all ingredients evenly between four 2-cup capacity storage containers. You can enjoy these cold, or heated up. **Find instructions on how to make cauliflower rice here! So sorry I think it’s fixed now!